Patrick Harvie, Co-Convener of the Scottish Green Party. A bid to criminalise parents who smack their children has been celebrated by the Scottish Green Party. 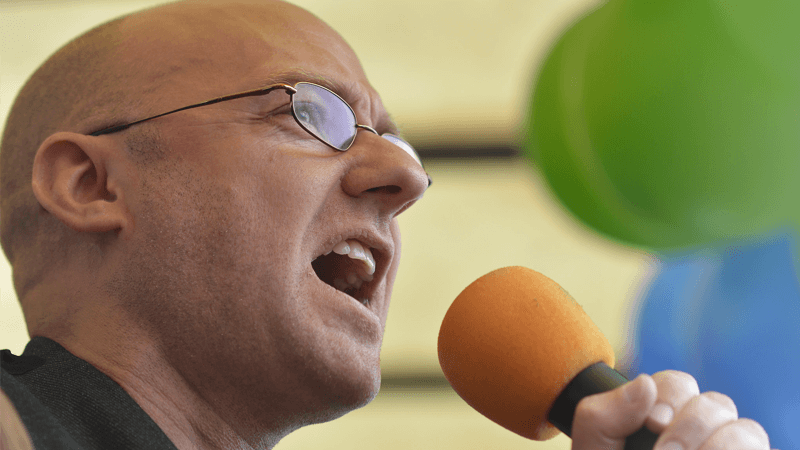 Speaking at the party’s autumn conference in Edinburgh, Co-Convener Patrick Harvie spoke proudly of a “Green campaign” to ban smacking. He was referring to a Member’s Bill by Green MSP John Finnie, which has been backed by the Scottish Government. Campaigners warn that the legislation could criminalise loving parents, waste resources and overload the police and social services. “Regardless of what people think of the Greens’ other policies, banning smacking is certainly bad for the environment in which parents raise their children. “It will create fear and confusion for good families and will overwhelm social services. “If you criminalise chastisement that is, by definition, reasonable, then you are putting good parents at risk of prosecution for no reason. A ComRes poll publicised by the Be Reasonable campaign shows a smacking ban is not supported by Scottish parents or the wider public. When asked to consider the statement, ‘A ban on smacking would likely criminalise reasonable parents while doing little to stop bad parents from abusing children’, 75 per cent agreed, with just one in eight, (13 per cent), disagreeing. Be Reasonable has heavily criticised the Scottish Government for its U-turn on the issue of smacking.